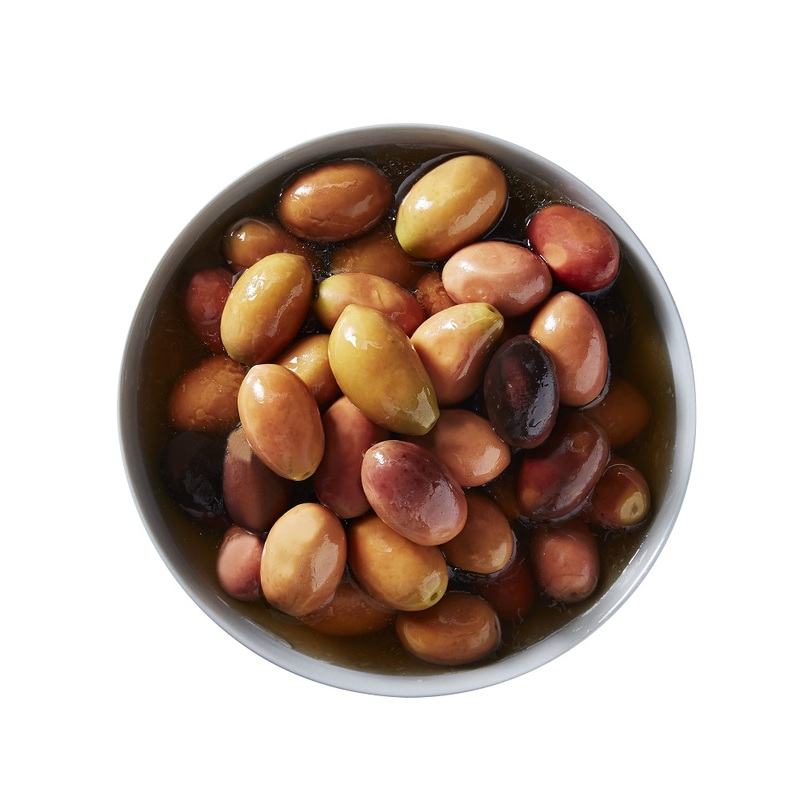 Blonde Kalamata Olives originate from Kalamata in Greece. They are however a distinctly different variety to regular Kalamata olives and are one of the largest olives available. Due to their size they take longer to cure than most other olives and over this time naturally leech colour from burgundy (when picked) to blonde. 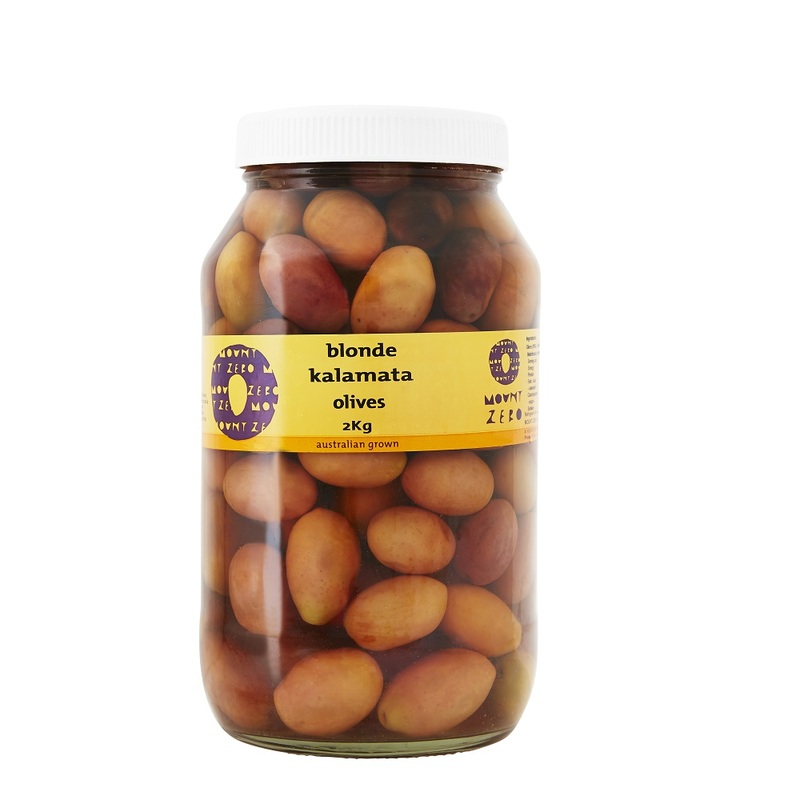 Blonde Kalamata olives are strong in flavour and texture and are a favourite among our restaurant customers. All of Mount Zero's olives are hand picked and preserved naturally in brine (salt & water).